The rocking ship that is the daily news out of Washington might give one the impression that health care operations are on hold for the time being. Quite the opposite. A recent survey of 65 healthcare executives in the C-suite, including those in positions as CEO, COO, CMO, CFO, CIO or CTIO, revealed clear strategies for the coming year. Differentiating their healthcare systems based on quality and costs. 45 percent said they will increase or “substantially increase” expansion of post-acute care services through partnerships. None planned to reduce investments. 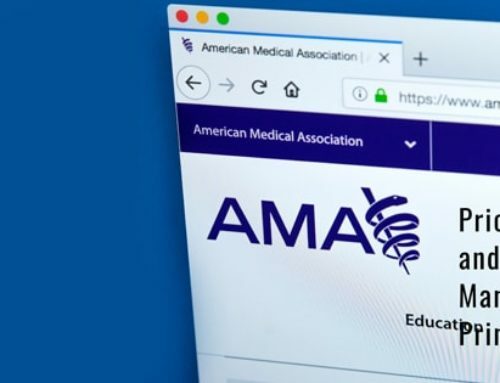 40 percent said they will increase use of expanded healthcare team structures to include care coordinators, clinical pharmacists, nurse practitioners and other healthcare extenders. The healthcare industry has long debated whether patients were patients or healthcare consumers. High deductible healthcare plans and health savings accounts are making it clear that the latter is the case. Healthcare leaders say they are going to focus on the fact that consumers are willing to shop for economical, accessible health care options. As a result, one key goal will be engaging and satisfying consumers through the increased use of health system-affiliated ambulatory clinics and stand-alone primary care providers, online apps, telemedicine and care management teams. 56 percent will increase or substantially increase patient access to clinicians through telehealth. 45 percent will look to increase or substantially investments in patient engagement initiatives. An essential part of initiatives to engage and satisfy consumers is the power of transparency and education. Educating patients about their financial responsibility at the time of care delivery leads to increased satisfaction. Having the tools to pre-authorize the patient at check-in and registration and verify insurance coverage leads to open discussion about patient pay responsibility and payment, or the collaborative establishment of a payment plan. The lack of such a system can lead to expensive collection costs for the provider and surprise bills for the patient that are currently on the fast track to being outlawed. The Oklahoma State House of Representatives just passed a law unanimously that requires any out-of-network provider involved in a procedure or delivery of care to provide the patient with an estimate of charges and a disclosure that the provider will either accept the health insurance plan’s payment or balance-bill the patients. Arizona has a similar bill that was passed unanimously by the senate and is now awaiting vote in the House of Representatives. Knowing these details up front can save providers a world of frustration and prevent lost revenue. Pre-registration, pre-authorization, insurance verification and a responsible system to set up patient pay are essential to capturing every cent of revenue that is yours. It is one of the keystones of patient satisfaction and improving value based care.